Late last month, at the Aspen Ideas Festival, Gen. Stanley McChrystal, the former top commander of international forces in Afghanistan, proposed bringing back the draft. “I think we ought to have a draft. I think if a nation goes to war, it shouldn’t be solely be represented by a professional force, because it gets to be unrepresentative of the population. I think if a nation goes to war, every town, every city needs to be at risk. You make that decision and everybody has skin in the game. A few days ago, at the New York Review of Books blog, William Pfaff offered his reaction in a post I highly recommend. I hesitate to quote from it, as no short excerpt can accurately represent the range of Pfaff’s thoughts. Here’s just one bit, on a powerful contribution of the draft. 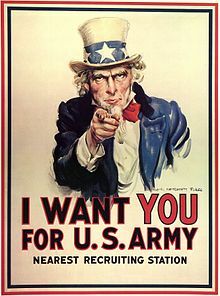 The army, in my opinion, did more to desegregate the United States than the civil rights movement of the 1960s. From 1948 on, nearly every able-bodied young man in the United States served and lived side by side with Americans of all colors, all in strict alphabetical order, in old-fashioned unpartitioned barracks, sleeping bunk to bunk, sharing shelter-halves on bivouac, in what amounted to brotherly endurance of the cold, heat, discomfort, and misery of military training—and following that, of service. The kids I trained with—and they were kids—were nearly all of them scheduled to become infantry replacements in what was commonly called Frozen Chosin [during the Korean War]. When their war was over, the survivors, white and black, didn’t go home to Georgia and hang out together on Saturday nights. They hardly saw one another again. But those two years changed them. It certainly changed many of the younger generation of white southerners who served and who a decade and a half later were ready to accept desegregation, even though they disliked it. A man-to-man respect existed for their black contemporaries.